在被蒙古人征服之前，宋朝已经处于工业化的边缘了吗？（上） [美国媒体] Was the Song dynasty on the verge of industrializing before it was conquered by the Mongols? The Song Dynasty (960 - 1279 AD) was on the verge of building a modern nation before it was conquered by the Mongols. Politically the Emperor had become a figurehead. The Cabinet told the emperor that "the world belongs to our nation, to our ancestors, to the government, the people, the military. It does not belong to you." And the emperor had to say, "I would not dare to disagree with you." The Song dynasty had implemented universal education, public clinics, welfare, retirement homes, and burial rites for the poor. Private investors had formed investment clubs to sponsor overseas trades of things like paper, silk, porcelain, etc., things that only the Song had and nobody else had. The Song traders went all the way to southern Europe. They realized that the coast line was inaccurate, and they couldn't figure out why. It was because the earth was round. Give it some more time, and they would have figured that out! It depends on your definition of industrialization. What made the Industrial Revolution possible in England in the first half of the 19th century was the steam engine and coal as an energy source. Song China did not have these. If you consider the definition of industrialization more broadly than that for the Industrial Revolution in the west, then Song China was far ahead in many areas, not only of the west, but the rest of the world. I'd say mechanizing life and economy by harnessing energy sources other than human and animal power. Is there any place I can read more about the advertising business in the Song period? There is not much documentation, but the Song poet Su Dongpo worked as an advertising copywriter. 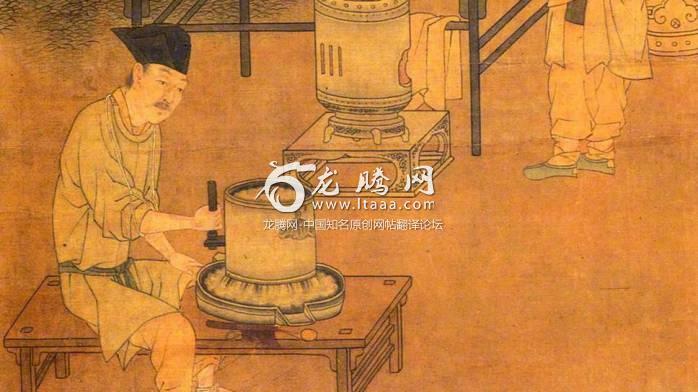 There are also printed ads from the Song dynasty which have survived to modern times.